For the very first time ever, the Executive Directors and Chairmen of the friends organizations from 8 countries (Australia, France, Switzerland, South Africa, United States, United Kingdon, Canada, the Netherlands) spent 5 days in Israel in which working sessions were held, the delegates were briefed and updated by the Executive Director of the Zahal Disabled Veterans Fund Dr. Moshe Shemma as well as by Haim Ronen, Director General of the ZDVO and members of the Management of the ZDVO, visited Beit Halochem centres, met with disabled veterans, visited the site where the new Beit Halochem is to be built in Ashdod after visiting the border with Gaza and touring the perimeter settlements learning of the delicate and precarious situation that continues to exist. 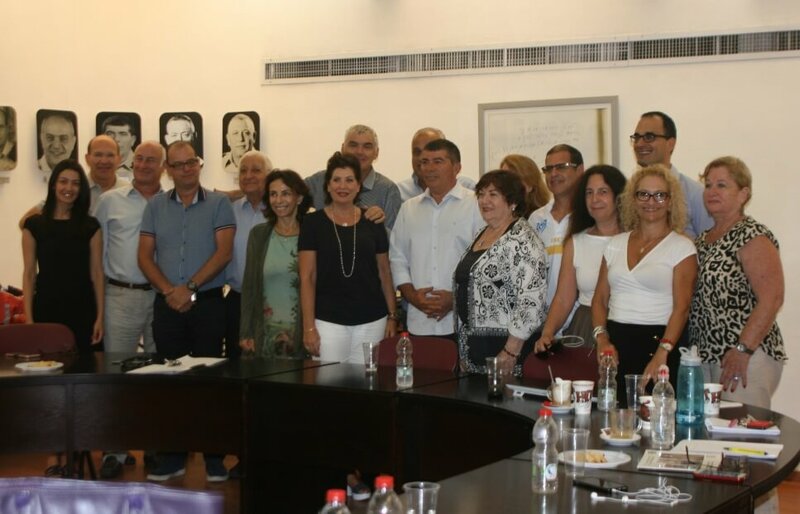 The guests met with the Speaker of the Knesset MK Yuli Edelstein after a tour of the Knesset, toured the Supreme Court and had a personal meeting with Supreme Court Justice Uri Shoham, were briefed by former Chief of Staff of the IDF Lt. Gen. (res.) Gabi Ashkenasi, experienced playing wheelchair basketball with the members of the Karmiel Wheelchair Basketball Team and sailed with the Kishon River Sailing Team, both activities under the responsibility of Haifa’s Beit Halochem, as part of the many activities offered to the thousands of disabled veterans living in the Northern Peripheral Region of Israel. The session ended when all participants attended the Opening Ceremonies of the Maccabean Games in Jerusalem. In view of the successful outcome it was decided to try and hold such sessions annually from now on.